We introduced them on our Facebook page and they have been working hard all summer. And before they return to their studies at Grinnell and Bard Colleges, we’d like to give a huge shout out and thank you to our two summer interns: Brian Buckley and Alice Weston. Brian, our summer intern from Grinnell College in Iowa, is completing a BA in American Studies. Through Grinnell’s Liberal Arts in Prison Program, Brian teaches creative writing to people in prison and coordinates students and professors teaching at the Newton Correctional Facility and Iowa Correctional Institution for Women. We thank Grinnell’s Career Development Office for supporting Brian’s internship with PPMP! Alice is going to be in her senior year at Bard College in upstate New York where she is completing a BA in both Human Rights and Photography. Alice’s current projects include an analysis of the use of images during the American Civil Rights movement and an investigation of nationalism in visual culture. We thank Bard’s Human Rights Project and the Difference and Media Project for supporting Alice’s internship! 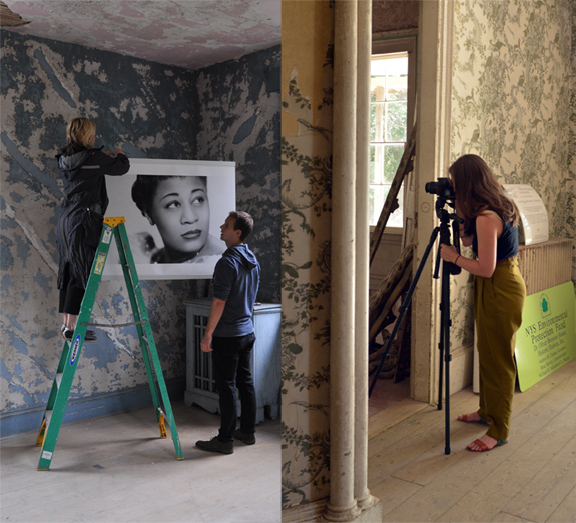 Brian and Alice have been working this summer in the community in Hudson, NY, doing research at various institutions, conducting oral history interviews, photographing, scanning and setting up our oral history archive. They also provided invaluable help organizing our June event, “If These Walls Could Talk…” at Hudson’s Dr. Oliver Bronson House and guest speaker Geoff Ward’s presentation in August at the Hudson Library, “Black Child Saving Along the Hudson…” among many other things. We’ll be very sorry to see them go later in August but wish them the best as they complete their final year of college, graduate, and pursue their dreams.